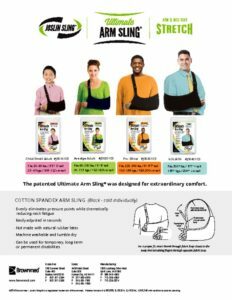 The patented Ultimate Arm Sling® was designed for extraordinary comfort. Made of soft, breathable cotton spandex fabric, it is lightweight and soft to the touch. 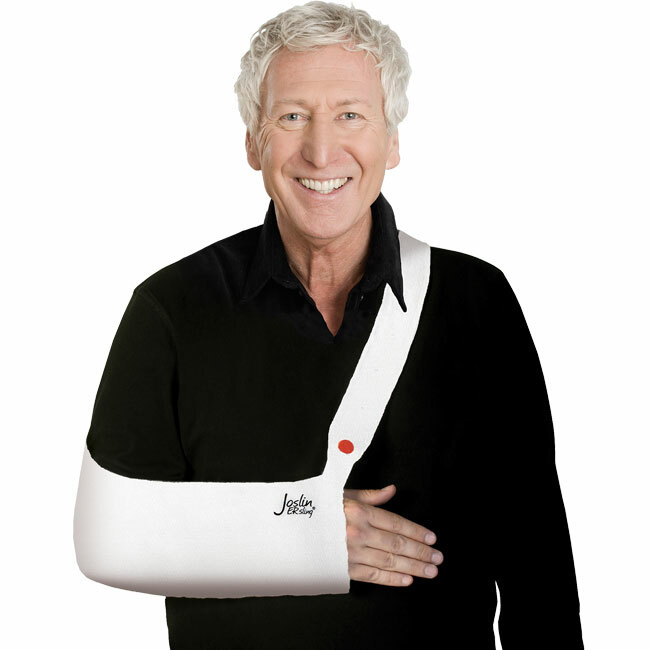 The sling pouch stretches to adjust to the length of the arm from elbow to wrist. Two fabric loops keep the arm held gently and securely in place. 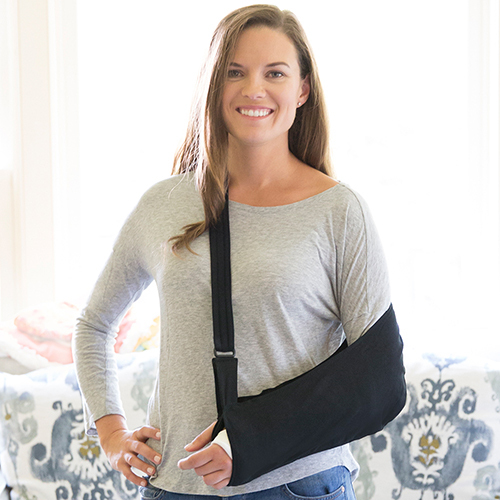 Unlike other brands, the Ultimate Arm Sling® supports the weight of an arm evenly to eliminate pressure points while dramatically reducing neck fatigue. 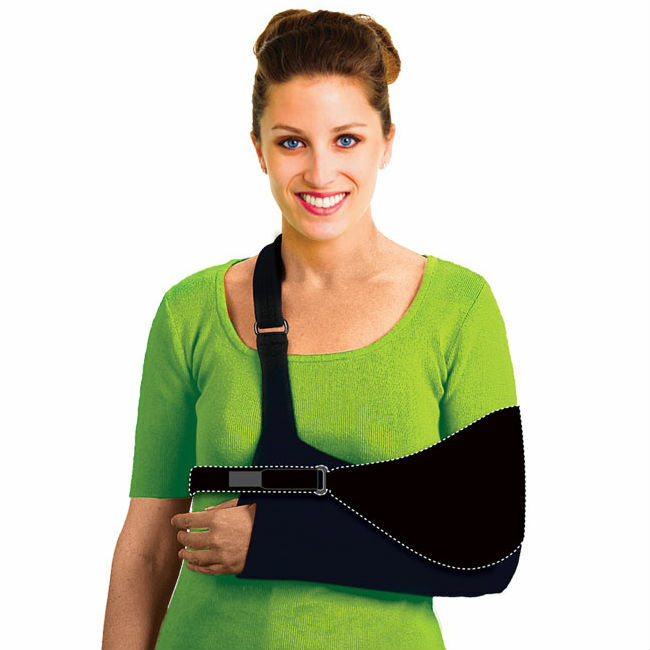 Plus, the hook and loop closure on the Ultimate Arm Sling® allows the sling to be easily adjusted in seconds. 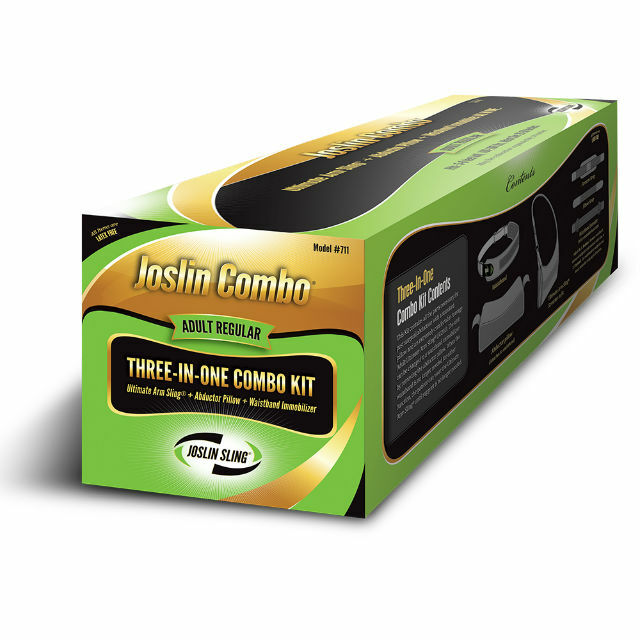 All arm slings are latex free and can be machine washed and dried. 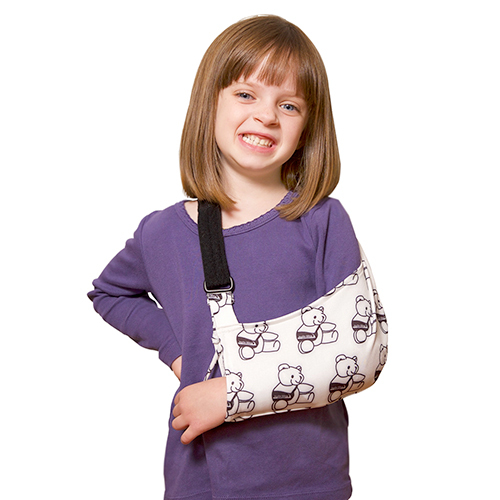 They can be used for temporary, long term or permanent disabilities and are available in black.